Scientific name: Melilotus sulcatus Desf. 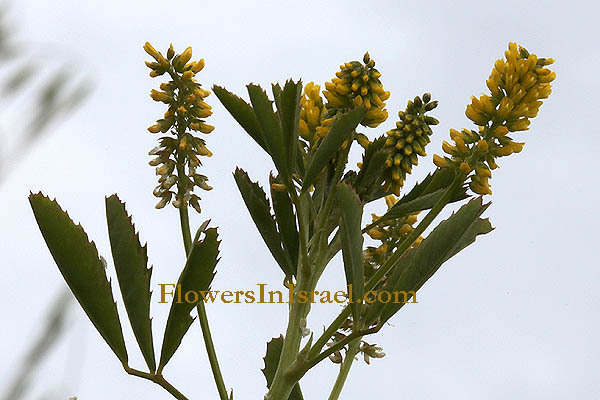 Synonym name: Melilotus compactus Guss. 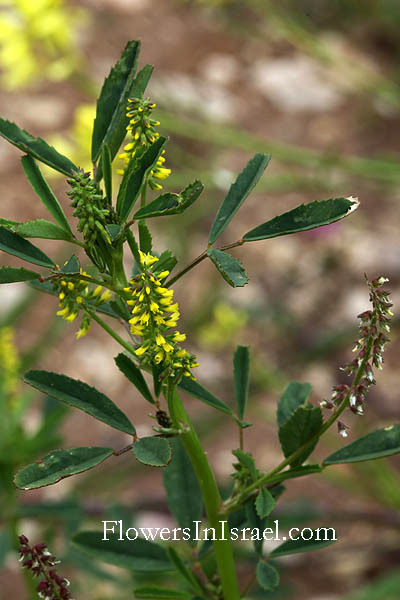 Arabic name: حندقوق, نفل "Handaqouq, nafal"
Melilotus, Greek meli, honey; lotus, a leguminous plant. The standard author abbreviation Guss. is used to indicate Giovanni Gussone (1787 – 1866), an Italian botanist.